Experience SAIL 2020 with BoatNow! It's quite a long way to go till SAIL Amsterdam 2020. But SAIL Amsterdam is closer than you think. It's taking place from the 12th of August till the 16th of August 2020. That's just a little bit more than a year to go! 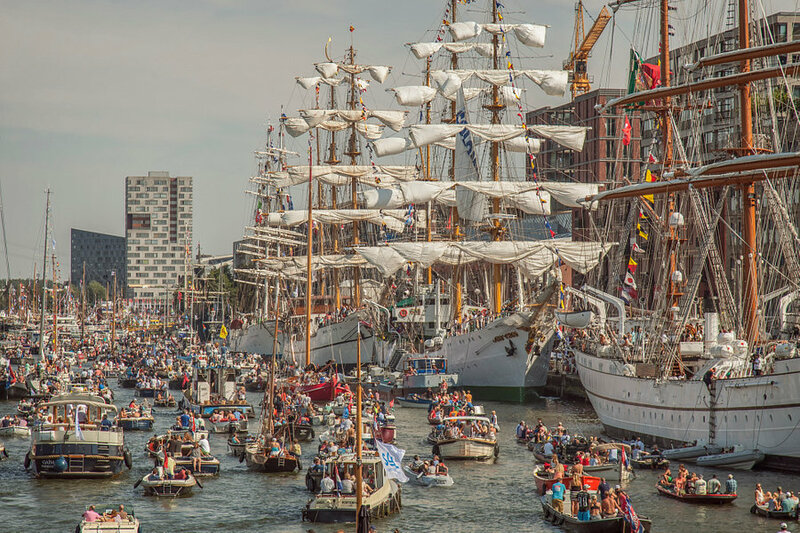 SAIL is, with the international Tall Ships as decor, the largest and one of the most populair public event of the Netherlands! There is still a lot of time before the first ship passes the sea locks of IJmuiden, sets course for Amsterdam and moors at the quays of our capital. But like you we don't want to miss out on this event! So book a boat a.s.a.p. To see the beautiful ships we recommend the boats from our 'Open Boats' segment. We have dozens of beautiful open boats on our site, from where you and your company can have a close look at the boats under the guidance of an experienced captain a snack and a drink!